TetZooCon this year was a two day event that took place at UCL on the 6th and 7th October. Unfortunately, due to health reasons I was unable to attend the last day - though I did follow it on twitter using the hashtag #TetZooCon. 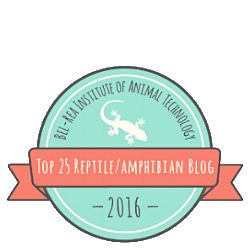 If you’ve never heard of TetZooCon or Darren Naish’s famous Tetrapod Zoology blog (aka Tet Zoo), you are seriously missing out. TetZooCon is an annual meeting that features talks and workshops on topics explored in the Tet Zoo blog. As herpetology is my main area of interest, it’s no surprise that I was very much looking forward to Mark O’Shea’s talk on his latest paper dealing with forensic historical herpetology and, of course, my good friend Steve Allain’s presentation about his upcoming PhD research on snake fungal disease. However, I have to say that I enjoyed all of it! TetZooCon 2018 seemed to have something for everyone, from Palaeoart Workshops to composer Fiona Taylor’s talk about music for wildlife documentaries, it’s fair to say that if you like animals in general, you’d have enjoyed it! Focusing back on the talks for a minute, I was really looking forward to Lucy Cooke’s talk on her latest book ‘The Unexpected Truth About Animals’. Having read the book and watched interviews with Lucy before, I knew it was going to be an entertaining talk. Lucy is incredibly funny and I love the whole ‘women power’ feel of her talks. Also, let me take this opportunity to fan girl a bit and brag about how she gave me a ‘Sloth Appreciation Society’ pin…what can I say…sloths are cute and something about haters are gonna hate bla bla bla. Speaking of women power, I cannot leave out Katrina van Grouw’s talk on her ‘Unnatural Selection’ book, which by the way has some beautiful illustrations, and Jennifer Jackson’s incredible presentation on Baleen Whales…honestly, I came out of that talk with a whole new appreciation for whales and whale conservation research! As I previously mentioned, I was really looking forward to Mark O’Shea’s talk and he very kindly signed all the books I’d been carrying around the event with me! Let’s just say that my bag was a tad heavy…! Mark’s presentation was just as you’d expect a Mark O’Shea talk to be like, (1) passionate about snakes, (2) incredibly interesting, methodical and accurate (3) and a dream come true to herpetologists. Having said that, Mark really needs to start sharing his secrets for having luscious locks…I mean, have you seen Mr O’Shea’s hair?! I was also so glad to be able to be there for Ian Redmond’s talk about his work with apes and elephants! It was a pleasure to listen to his tales on dealing with the animals, the locals and poachers. He even read a few lines from his field notes - truly inspiring - aaaaaaand I got to meet Archie the Elephant so I feel like I just levelled up in life. Finally, I am really gutted that I missed the talks that took place on the second day, especially Robyn Womack’s talk on how birds tell the time, but I am already looking forward to TetZooCon 2019 - bring it on! 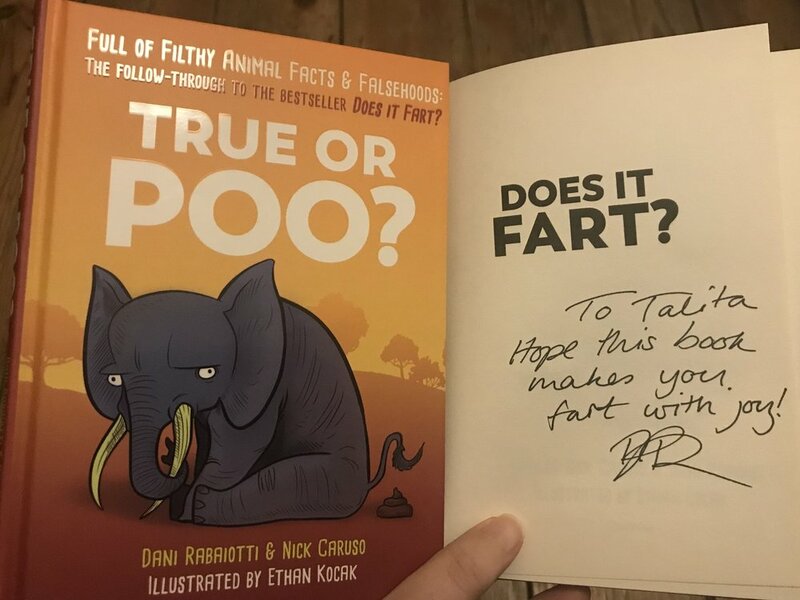 A massive well done and thank you to Darren Naish, John Conway and Dani Rabaiotti who signed some of my favourite scicomm books ‘Does it Fart?’ and ‘True or Poo?’.